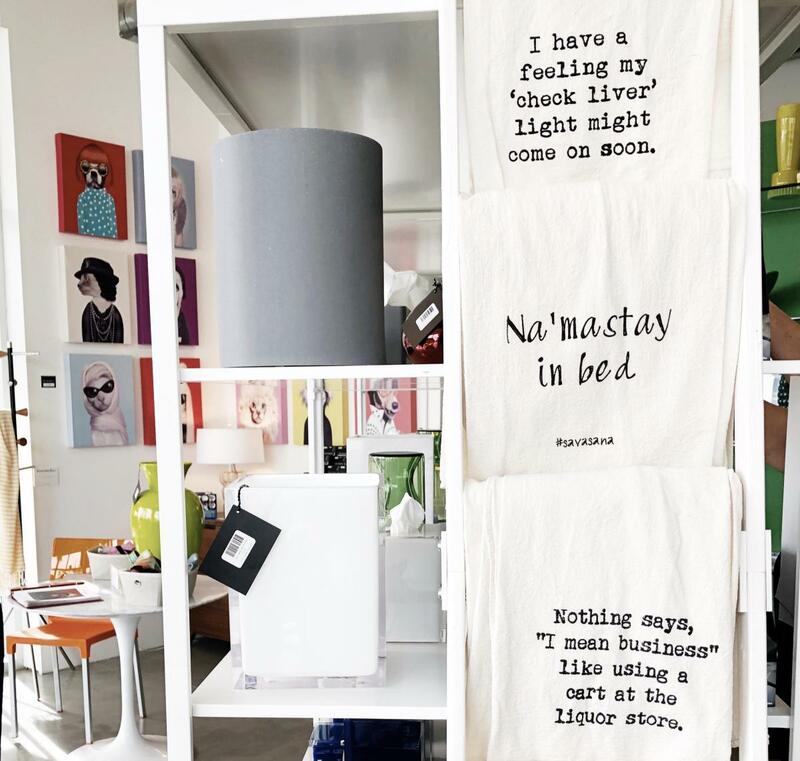 The Uptown District in Palm Springs has quickly become a must-shop destination for guests visiting Greater Palm Springs. Running along North Palm Canyon from Vista Chino to Alejo the Uptown district offers a little something for everyone with its mix of local boutiques, kitschy vintage, and treasures for the home. Kick off your day of exploring at Ernest Coffee located on North Palm Canyon and Via Lola. The locally owned spot pours Stumptown coffee and has come up with some very creative specials including a cold brew shaken with fig and honey mixed with almond milk. Once you are sufficiently caffeinated, head next door to Iconic Atomic to browse racks of vintage men and women&apos;s fashions and some midcentury gems for the home. Keeping with the vintage theme, don’t miss Dazzles, a vintage wonderland of tiki treasures and bold baubles. The shop can be a little tricky to find as it is tucked away from the street behind the gate of an old apartment building. Once you find this spot, be sure to give yourself plenty of time to browse through the collection of colorful necklaces and floral brooches from the 1930s to the 1970s. 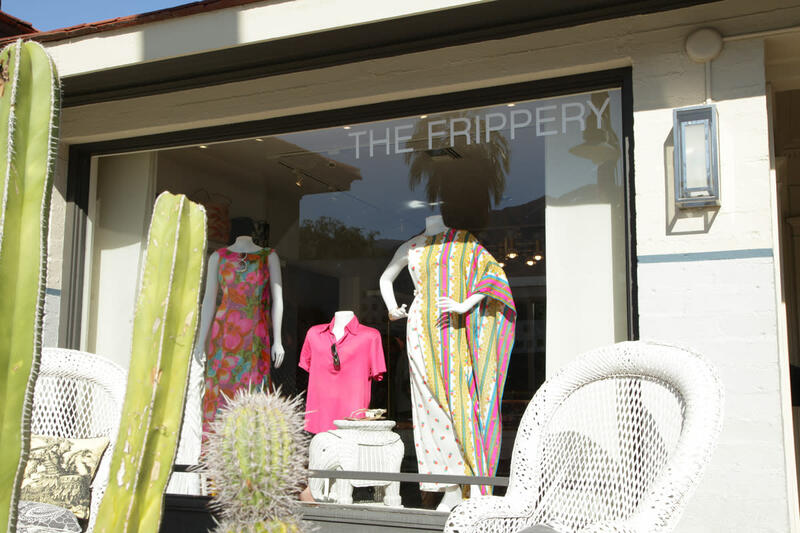 The Frippery is another can’t-miss spot full of colorful caftans for poolside soirees to one of a kind boho pieces perfect for high desert adventures. For those seeking the desert lifestyle for the home, Christopher Kennedy has what you need. Kennedy is a local interior designer who recently opened a storefront and design office in the Uptown District. Grab a few throw pillows, some candles, and a coffee table book to infuse a little desert glamour into your own home. Pelago offers shoppers an array of coffee table books reflecting the past of Palm Springs, colorful rugs and cheeky art. Speaking of art, Shag Art Gallery is a must stop on any Uptown Shopping trip. The artist, Shag, has created beautiful pieces of colorful art based on the midcentury parties of Palm Springs past. Once you finish browsing the gallery, stop into Shag The Store to purchase your own Shag coasters and Shag books. Need a quick break? Make your way to On The Mark for one of their freshly made sandwiches like the Veggie or the Ancho Chicken. While you wait, don’t forget to browse the fresh cheeses, yummy sweets, and fun snack options like the Chili Crunch. Grab a craft beer or sparkling wine to enjoy at one of the picnic tables with your sandwich. Once you are refueled and ready to continue, head across the street to Elizabeth & Prince, owned by local couple Shawn and Analisa Holoubek. The couple finds inspiration in the desert lifestyle and have curated the perfect collection of apparel, footwear and accessories brands include Ulla Johnson, Ace & Jig and Xirena. 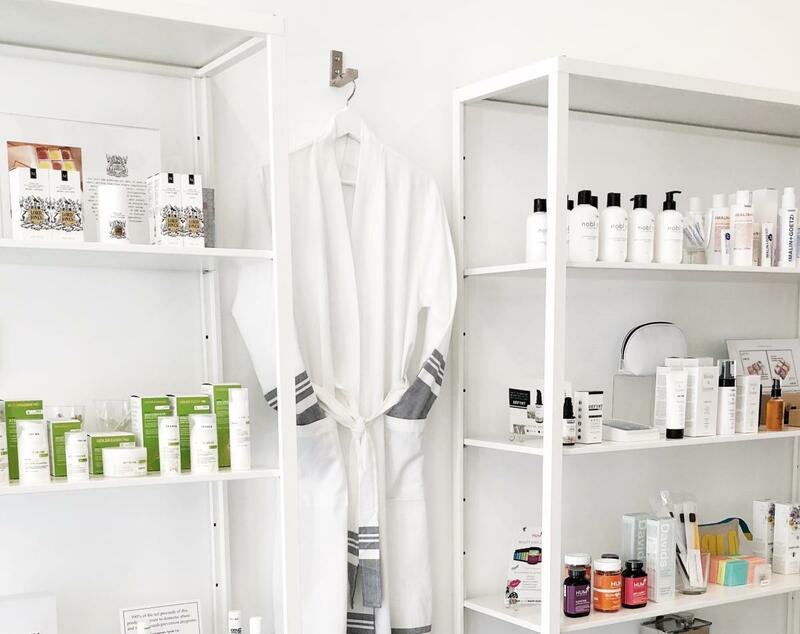 H2O Modern Apothecary has recently opened an Uptown Shop that is a can’t miss for those seeking a little pampering. The owners, Ken and Steve, have spent years personally testing every product they carry to ensure their customers are shopping only the best. Favorites include the Goldfaden skincare line, Ayur cooper water bottles and Maison Louis Marie fragrances. 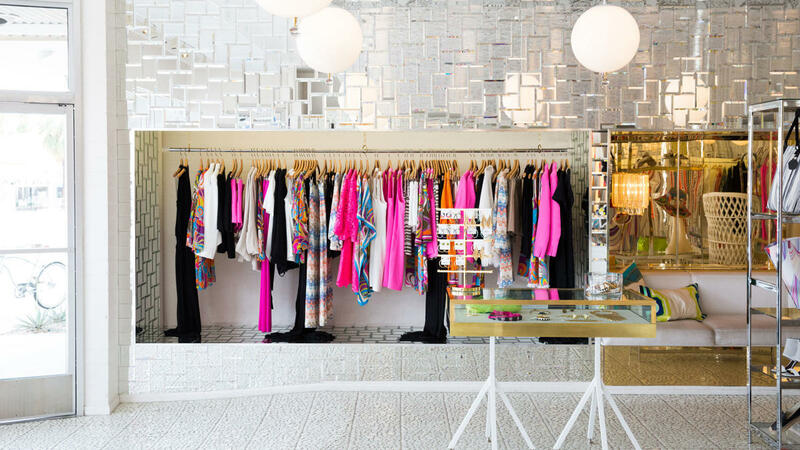 Trina Turk is an oasis of chic desert style and one of the original shops to open in the Uptown District back in 2002. Shop clothing for men, women and unique gifts all in a beautiful Albert Frey-designed building. Make your way north and stop into The Shops at 1345 for a collection of new and vintage shops including Candice Held, Souki Modern, and Towne. 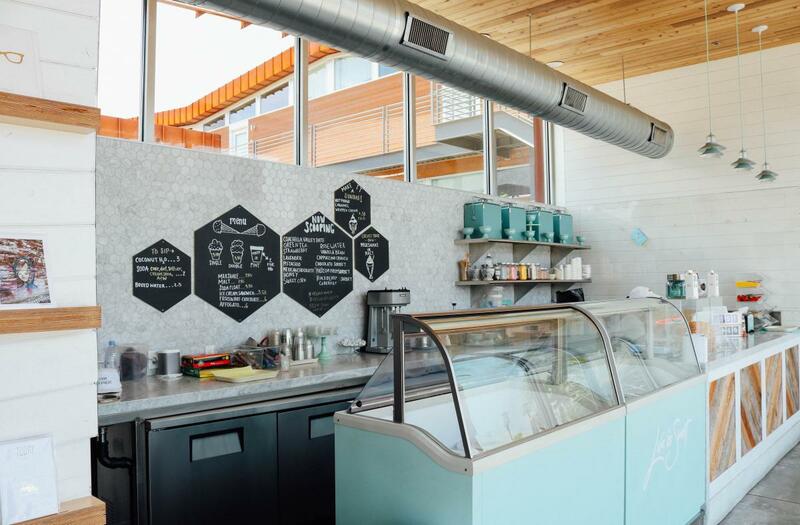 After a long day of shopping don’t forget to stop by Ice Cream and Shop(pe) located at the Arrive Hotel for a sweet treat (pro tip: ask for the sweet corn ice cream, it’s a can’t miss) and some fabulous finds. The Shop(pe) portion is filled with colorful pins, cute mugs and fun floats for your next pool party. 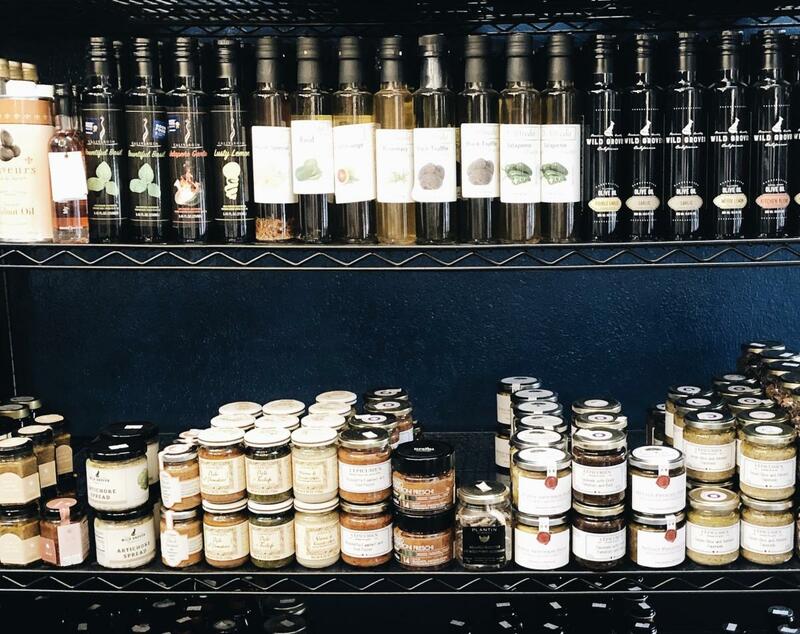 If you&apos;re looking for more, check out our page on shopping in Greater Palm Springs!